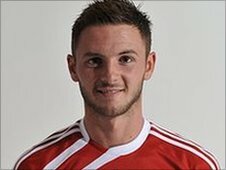 Rotherham United have signed Swindon Town full-back Callum Kennedy on loan for a month. The 21-year-old, who can also play in midfield, had a similar spell at Gillingham earlier this season, playing three times. The Swindon youth team product has made 20 appearances for the Robins, including four this season. He told the Millers website: "I know I have come to a good club that are doing very well in the league."